I am an independent web developer and digital strategist. I work with a variety of clients, big and small, to build and maintain websites that support their businesses, organizations, and projects. I love working with clients who are passionate about what they do. It’s my job to work with you to figure out what you need from your website and how to make it happen. I work mostly with the open-source platforms WordPress and Drupal and am a huge advocate for open-source technology. If you’re interested in working together, please contact me! I empower my clients to manage their website content. I understand that managing a website can be a scary and frustrating experience, and I don’t want that to be the case for any of my clients. I work hard to build administrator experiences that help my clients manage the content on their websites without stress. I truly enjoy getting to know my clients and frequently support the websites that I build long-term by making sure software updates are run safely, troubleshooting when there are problems, and adding new features over time. I write and speak about web development and technology. I write regularly on my blog about how to manage and build websites. You can follow my writing through my newsletter, where you’ll also get exclusive newsletter-only content. I teach and speak as often as I can at conferences, workshops, and in other venues. I’ve spoken about everything from how I taught myself to code to how color works on the internet. If you’re interested in having me speak at your conference or event, please contact me! I am involved in some awesome communities. I am super proud to be part of both the global WordPress community and the local women in tech community in Washington, DC. 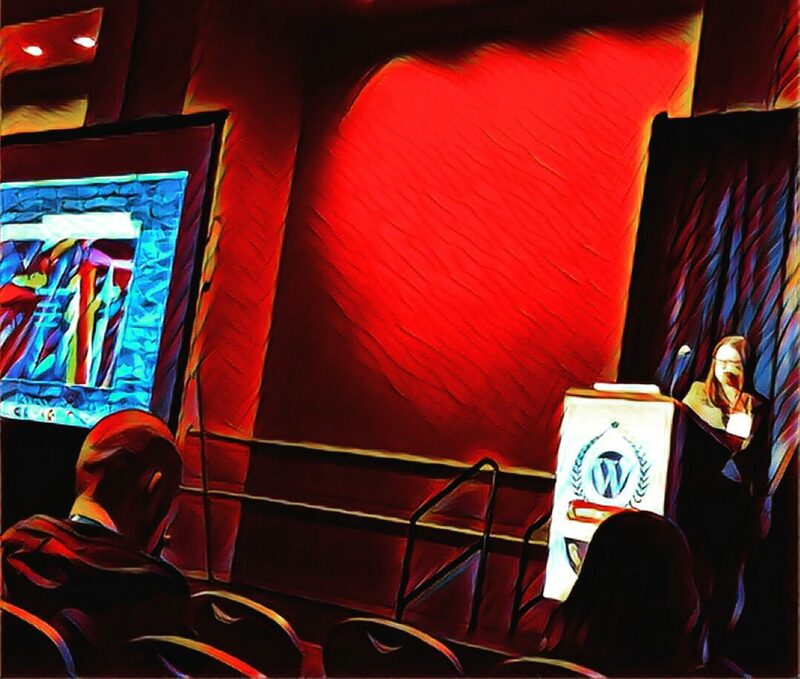 I have found the WordPress community to be one of the most welcoming, inspiring, and kind communities around an open-source software. I contribute as the community representative for the WordPress Training Team and as co-organizer of both the WordPress DC Meetup and WordCamp DC. If you’re in DC, you should come join us at the meetup sometime! Washington, DC, also boasts one of the most vibrant and supportive communities of women in technology. I’ve worked with DCFemTech, a collective of women in tech groups, to organize several events that support this community over the last few years: Inspire, an event that encourages the development of networking skills through practice talking about our individual accomplishments, and Hack for Good, a hackathon that supports local nonprofits and community groups.